There is a federal law that prohibits low-income people from working for donated food. Section 170(e)(3)(A)(ii) of the IRS code prohibits tax-deductible food donations from being “sold, exchanged or bartered.” This means that recipients of most food from a food-bank cannot contribute in any way for the food they receive. They must be passive recipients of charity – no volunteering, no reciprocal exchange, no co-op membership dues, and certainly no purchasing. Which makes the massive collection and distribution of food by the highly popular Feeding America (and its member regional food banks and their vast network of hunger-relief agencies) the largest, most successful, private purveyor of dignity-depleting charity that our nation has yet to devise. Who ever invented such a law anyway, a law that makes it illegal to work for one’s food!? Some tedious digging through government archives reveals that this law began with very good intentions. Back in 1917, when section 170 was first enacted, Congress had just given President Woodrow Wilson their approval to enter World War I. Taxes would have to be raised, war bonds issued, a million plus men recruited for military service, and the US budget increased seven-fold. Public reaction was understandably mixed. Leading newspapers expressed serious concern that this economic burden would, among other things, suppress the flow of philanthropic donations that supported essential charities (such as hospitals, shelters, Red Cross, and the like). Conservative legislators were also concerned that if Washington intervened with direct funding for charities, the role of big government would substantially increase – a direction they found intolerable. So the War Revenue Act of 1917 included a compromise – a provision that provided for the first time an individual income-tax deduction for contributions made to tax-exempt charitable organizations. It worked. For a hundred years this law has remained on the books. Not without modifications, of course. With shrewd business minds forever probing the limits of this legislation, it is understandable why every facet of the law has been scrutinized, tested, argued, negotiated, and tried. Some 9,500 pages of definitions, clarifications, classifications, qualifications, amendments, regulatory restraints, loophole closures, complex deduction formulae, and a dizzying array of reporting requirements now comprise section 170, the charitable deduction provision of the IRS tax code. But there is one paragraph of this law that has for a century remained unchallenged – the “no purchase, no exchange” provision. Charity in 1917 was about saving lives. No government safety net existed for the poor. Destitution frequently led to malnutrition, grave illnesses, and death. Churches and non-profit charities did their best to fill that void. The passing of 170 was very good news indeed for those providing these essential services. That was 1917. But much has changed over the past century. Little by little, the government assumed responsibility for creating a secure safety net to care for vulnerable citizens. In 1935, the Social Security Act established a system of old-age benefits for workers, benefits for victims of industrial accidents, unemployment insurance, aid for dependent mothers and children, the blind, and the physically handicapped. Then followed a range of other welfare subsidies – public housing, food stamps, Medicaid, free school lunches and breakfasts, and a host of other entitlements. No more would pestilence, starvation, begging orphans, and back alley deaths be realities in American life. Some now argue that our current safety net is more than adequate. Others contend that much more aid is needed if we are to eradicate poverty. Virtually no one is saying, however, that the charitable donation law is no longer needed. 170 plays a vital role in providing food security to millions of struggling families. What social service providers are recognizing, though, is that dependency on free handouts has a debilitating effect on recipients. One-way charity over time tends to erode the work ethic of recipients, produce unhealthy dependency, and diminish human dignity. Consequently, homeless shelters across the country are beginning to charge for beds, either in the form of labor or nightly fees. Soup kitchens are beginning to see the benefits of recipients serving as volunteers. Some clothing closets are now being converted into thrift stores. And toys-for-tots-type giveaways are being replaced by exchange-based Christmas stores. For some strange reason, the law that forbids the “sale, exchange, or barter” of donated food does not seem to apply to donated clothing. Goodwill and Salvation Army thrift stores sell quality used clothes at bargain prices while providing training and permanent employment for program participants. Tax-deductible receipts are offered to the donors of these clothes. The beneficiaries of this charitable system include donors, customers, and unemployed workers. Why should food not be included in a similarly beneficial exchange strategy? In 1917, the distribution of free food made perfect sense. It was an emergency measure that saved the lives of starving citizens. In 2017, starvation no longer exists in our land. Nutritional needs, yes. Missed meals, yes. But not starvation. The pressing need today is job training and stable employment – the social foundations that enable the less privileged to participate in a productive economy. It is time to update the law to fit the realities of our day. Working for one’s food is as fundamental as nature itself. Almost no one in our society is so poor that they have nothing to contribute. Nearly everyone has something to bring to the table. Certainly there are the severely ill, injured, or disabled who must have constant care. And crises do befall families that require emergency intervention. But the primary need among our nation’s generational poor is chronic, not crisis. Chronic need requires development support, not emergency assistance. Teaching the needy to fish rather than feeding them fish is a development strategy. A system of exchange where everyone has skin in the game not only enhances dignity but also reinforces a work ethic and fosters self-sufficiency. 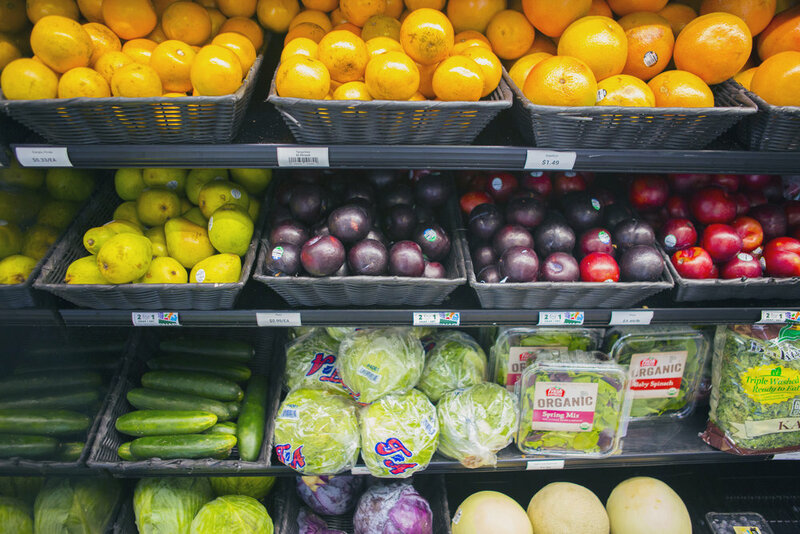 Amending the language in 170(e)(3)(A)(ii) to encourage bartering, exchange, and the affordable purchase of donated food would be a giant step in the right direction. In the meantime, until we can persuade legislators to update the law, what do we do with Feeding America and the 200 plus regional food banks and the innumerable food pantries, soup kitchens, and free lunch programs that distribute dependency-producing free food to the chronically poor of our nation? I certainly don’t fault their efforts. Their mission is a noble one – to end hunger in our land. This past year, with Feeding America in the lead, they reclaimed more than 2 billion pounds of food that would have otherwise been thrown away. They provided 3.7 billion meals to more than 46 million people. They are now launching an ambitious effort to “close totally the missing meal gap” to end hunger in our land. No, I don’t fault their mission. But there is clearly a need to examine their method and the law that mandates it. Ending food insecurity is a very big challenge. And Feeding America with its massive network of partners seems well on its way to accomplishing this goal. But are they actually moving the poverty needle? Are the poor they feed becoming less poor as a result of these gallant efforts? Another way of asking the question is: are the poor becoming more self-reliant as a result of free food subsidies? I think not. In fact, the poverty needle appears to be stuck. Perhaps, as free-food advocates point out, this persistent poverty may be related to health issues. Epidemic levels of obesity, diabetes, heart disease, and high mortality rates found among lower income populations are in no small way related to diets of starchy, salty, sugary processed food. And so Feeding America is broadening its emphasis a bit, encouraging recipients to adopt healthier, more nutritious diets. This is good. But is it sufficient? If it were possible to provide ample, nutritious, free food to every needy citizen, would we then see poverty in our land dramatically diminished? If you believe that productive work is unrelated to personal advancement, if you believe that entitlements bring out the best in a society, then your answer would likely be “yes.” If, on the other hand, you believe that deepening dependency weakens personal initiative and dampens the drive of a culture, then you understand how the spirit of a people – even a well-fed people – could indeed be impoverished by healthier handouts. It will take more than free food – even ample, nutritious food – to end poverty. A people will prosper when the talents, abilities and potential of every citizen are employed in useful contributions to the healthy functioning of that society. Honorable work, whether menial or skilled, is the bedrock of prosperity. Any program, philosophy or law that discourages productive engagement in a system of exchange, creates poverty of soul, robs people of their dignity, and deprives them of the opportunity to make contributions to their broader community.